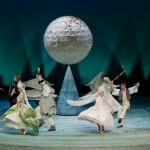 In recent years, drama in Slovakia has developed under the influence of various changes and phenomena. Dramas created in what is referred to as the ‘stone theatres’ changed under the impact of modifications in the structure of the independent theatre. Some important ensembles of the independent state disappeared, or emerged only to vanish again (for instance Stoka Theatre). The emergence of new multicultural centres such as A4 – zero space in Bratislava, Stanica in Žilina-Záriečie-open cultural space, Studio 12 of the Theatre Institute and Potôň Theatre in Bátovce- also made an important contribution to the development of Slovak theatre. Today these cultural centres lead the field in the presentation of independent theatre and also provide space for creative collaborations involving drama, modern dance and other genres. Stanica Žilina-Záriečie is an exceptional centre of contemporary culture and arts. It is the first multicultural space in Slovakia. It revitalised former industrial premises – a railway station – for its activities. The station is thus ranked among similar European centres. Projects and activities that are carried out here reach far beyond the borders of Slovakia (Kiosk – the festival of the independent theatre, Animation Film Festival FestAnča etc.). The civic association Truc sphérique led by Marek Adamov, the cultural manager and producer, who established Stanica and has operated it since 2011 also restored a New synagogue in Žilina for the needs of Kunsthalle. Stanica is particularly engaged in the field of contemporary dance, independent theatre and community projects. Since its establishment (in 2001) Studio 12 has profiled itself as a laboratory of contemporary drama and creative projects mainly of novice actors and directors of younger generation. It is also an important platform in the area of drama education and specific, critical discourse on contemporary theatre. The most important projects of Studio 12 include the staging of contemporary Slovak and world drama as well as the project of theatrical debuts Primary Teeth. It has also supported establishing and providing a space for the theatre of Nota Bene homeless (the theatre currently operates under the direction of Patrik Krebs and Ursula Kovalyk under the name The Homeless Theatre). Pôtoň Theatre is something unique in Slovakia – it is the only professional theatre, which is not active in Bratislava or another major city. The theatre was founded in 2000 by the director Iveta Ditte Jurcova and the dramaturgist and playwright Michal Ditte. It profiles as a theatre which favours author creation and the search for interesting and controversial social issues that are staged only after the field research and collection of authentic material had been finished. The most important and award-winning productions include Terra Granus, Nevesta Hôľ (The Bride of the Mountains) and Psota. An intensive work on these projects has got systematised over the years and led into the establishment of the Centre for Art and Creativity, which has been active by Pôtoň Theatre since 2008. An original phenomenon of current Slovak theatre culture that binds drama with elements of physical theatre and contemporary circus is Teatro Tatro. The theatre has been operating under the guidance of renowned director Ondrej Spisak and excellent artist Frantisek Liptak since 1989. The theatre stages its creations (eg. 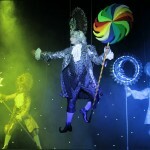 Bulgakov’s Master and Margarita, or Slobodzianek’s Prophet Ilya) in its own circus big top. O. Spisak is famous for his directions of puppet and drama works in Slovakia, the Czech Republic and Poland. He has also been awarded for many of them. The gradual withdrawal from commercial and tabloid trends in theatre is evident after 2000 in the effort for artistic profiling of individual theatres. During the 1990s the presentation of ‘cushy’ comedies and commercial repertoire had dominated the theatre of the 1990s with the principal aim of maintaining the interest of the audience. 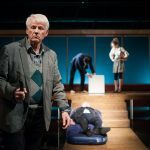 One obvious phenomenon has been the change in the repertoires of dramatic theatres to present a greater share of contemporary European and Slovak drama. The topic and the phenomenon in recent years is, like in other European countries, ‘the new drama’. Projects of the Theatre Institute (Drama Competitions since 2000, the New Drama – Festival of Contemporary Slovak and World Drama since 2004) joined the boom in contemporary European drama and positively motivated Slovak theatres to present it more frequently. Thereafter several modern drama productions (P Marber’s Closer in, State Theatre of Košice 2002; R Schimmelpfenig’s Arabian night, SND 2004; I Horváthová’s Fetishists, SND 2008; HOLLYROTH or Robert Roth sings the story of Jan Holly, SND 2010; O Sulaj’s Husbandman’s blood, Astorka Korzo ’90 2011; A Jablonska’s Pagans, 2012; E Jelinek’s Rechnitz – The Exterminating Angel, SND 2013; J Littell’s The Kindly Ones, SND 2014; K Horak’s Evidence of Blood, State Theatre of Košice 2014) were appraised by both critics and audiences. Several innovative adaptations of Slovak classical drama and literature as well as special creative author projects and projects in the area of documentary theatre (P Pavlac, B. Timrava’s Great Luck, SND 2003; R Polák’s Piargy, Theatre of Nitra 2008; P Pavlac’s – M Rozner’s Seven Days to Funeral, Theatre of Martin 2012; Ten Commandments, SND 2014; Uprising, Arena Theatre 2014) were also presented. Productions of contemporary Irish dramas (M McDonagh, M Carr, C McPherson, M O´Rowe) directed by M Vajdicka and K Rozhin were of particular note. When in the mid-nineties of the 20th century the new drama in the European theatre was still more and more intensively perceived as a phenomenon, in Slovakia this term only gradually replaced what was called original production. While various European theatre cultures in this turbulent decade at the end of the century passed through the relentless rise of new writing, in Slovakia it was not until the beginning of the new millennium that new names in playwriting emerged. The export-import of a huge director’s theatre in Europe had to inadvertently give space to the distribution of current texts and their mostly studio-like interpretations in the style of poor theatre. The background and reasons why new drama accelerated so much in each country are different, but they are connected by the period and generation. The content and procedural features of individual national playwrights are similarly diverse, but they are alike when considering urgency, brutality, the audacity of things said and a targeted shift from traditional psycho-realistic drama in form. Of course, there are significant differences between the western (especially German, British, French) and eastern, post-communist playwrights (particularly the playwrights of the former Yugoslavia and former Soviet Union countries). The delayed emergence of the new drama in Slovakia has its roots in cultural and social events in 1989. The theatre was directly involved in the revolutionary events of November. Until 1989 the theatre was for many decades a room for criticism of the communist regime ‘between the lines’ and then it became for a short time a tribunal, an open stage for new ideas during formation of democracy. Later, in the first half of the 1990s, it lost in a sense its meaning and it was time to redefine the mission, to search for and reach the viewer. The second half of the 1990s was in the conditions of a young state after the split of Czecho-slovakia an immensely complicated period for theatre culture and theatre representatives. It would appear that during the enforcement of national interests the original creation would have had such conditions to flourish strongly. In fact, the era of mečiarism was the most difficult time for many theatres, theatre artists and projects that had to survive without subsidies and operated in complete ignorance of the state. Contemporary Slovak drama is characterised by the coexistence of solitary male and female authors. There is no movement or group, intentionally related in a generational message, thematic coverage or style of writing. ‘Current Slovak drama is in the transition period that is neither firmly captured in theory nor named. There are no coherently unifying elements that can be summarised under a new ism. Playwrights are still unable to fully acclimate to the new conditions and, if so, only a very small group (eg. Viliam Klimacek, Milos Karasek and Silvester Lavrik). In the Slovak drama after 1990 there dominates the period of experimentation, author searching and the effort to find new theatrical concepts and communication strategies with the audience’ (Elena Knopova: Thinking about Slovak drama after 1990 in place of two conceptions. In Slovak theatre. ISSN 0037-600X 2008, vol. 56, No. 4, p. 381-392). In an attempt to characterise individual author concepts and poetics we find stylishly specified, metaphorical drama with symbolic elements (S Lavrik, E Maliti-Franova, K Horak, older texts of V Klimacek, and M Ditte), plays that considerably reflect pop culture phenomena, the identity of contemporary man and consumer society (later texts of V Klimacek, Z Ferenczova, P Pavlac, R. Oleksak, M. Zakutanska), plays of ‘women’s writing’ and feminist theatre (I. Horvathova, J. Bodnarova) as well as documentary texts reflecting different historical events (A. Gruskova). An important starting point and breakthrough event for the new drama was certainly the founding of the competition of original drama texts – Drama. But we must not forget to take into account that some major playwrights were not established at all or only partially through Drama – the already mentioned Viliam Klimacek who had already been writing for the theatre as early as in the 1980s, the co-founder and author of Stoka Theatre Milos Karasek and the significant playwright Karol Horak. The contest brought new names of the younger and middle generation and inspired personalities from other literary genres to start writing plays (eg. Eva Maliti-Franova). It was also inspiring that the authors who were actively acting in theatre sent plays to the competition that were in poetics completely different from their previous creation so they could address the dramaturgy of other theatres (eg. Silvester Lavrik, Viliam Klimacek, Milos Karasek and Jana Bodnarova). 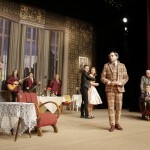 The new Slovak drama is a natural part of the theatre stages in Slovakia today. 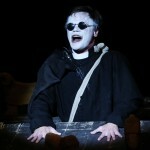 This is caused particularly by the systematic activities of the Theatre Institute since 2000. The basic reasons for the establishment of the Drama competition (2000), New Drama project (2003) and New Drama Festival (2005) were not only to raise awareness of the new drama from the world, but also to make engaged translators of literary texts and Slovak authors engaged, to inspire dramaturgists, but especially to get rid of mistrust and often the disrespect of theatre professionals to current dramaturgy. 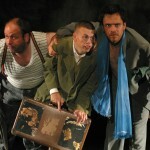 Three theatres in particular – Arena Theatre in Bratislava, Žilina City Theatre and the Slovak Chamber Theatre in Martin – have staged current Slovak texts written in recent years. Staging the titles from the field of contemporary Slovak drama is a conceptual decision in these theatres; we can even talk about a systematic artistic intention. The reasons for the staging of original works in these theatres are different. Artistic directors and the management of Arena Theatre are trying to define the place of the theatre towards the theatre and speaking in a broader sense towards the cultural offer of the capital. They stage not only theatre programmes, but they also provide live broadcasting of works of world opera scene and jazz concerts. 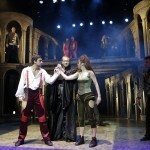 The theatre has also organised the eleventh year of Children’s Comenius University. Hand in hand with efforts to ‘be different’ the theatre tends to present politically and socially critical theatre. Within the project ‘Civil cycle’ since 2005, they have brought five original projects reflecting the history and personalities of Slovakia. Three of them were written by the playwright Viliam Klimacek – Dr Gustáv Husák: the prisoner of presidents – the president of prisoners (2006), Communism (2008) and the Holocaust (2012). 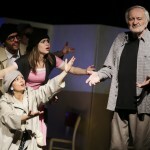 The initial project Tiso (2005) written by the author and director Rastislav Ballek about the Catholic priest and president of the wartime Slovak State responsible for the deportation of Slovak Jews eligibly became the staging of the season. 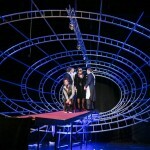 The staging of Martin Cicvak’s play Kukura (2011), which is inspired by the personality of the actor and director of Arena Theatre Juraj Kukura and very boldly criticises the state of culture in Slovakia also belongs to this cycle. 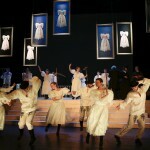 The current repertoire of Žilina City Theatre consists of 16 productions. Thirteen of them are current plays. The preferences of artistic director Eduard Kudlac and also very young ensemble of actors definitely account for this likeable balance. 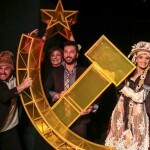 The staging of Slovak drama in Slovak Chamber Theatre in Martin is based on the traditional cultural environment of this town and results from the requirements of the local audience. 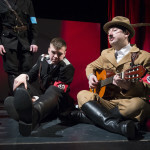 Creative author projects of the director Dodo Gombar – a theatre sitcom www.narodnycintorin.sk, music happening Štúrovci (concert cancelled), or current transcript of emblematic classics called Kubo (remake) – explore the identity and mentality of the Slovak nation and ruin stereotypes about Slovak history and their present situation. In recent seasons apart from the boom of new drama, the trend of passing the baton to the next generation of directors has been palpable in the development of Slovak drama, with several directors of young and middle generation (M Cicvak, R Ballek, M Amsler, J Strbak, M Vajdicka, S Ferancova, J Simko,V Kollar, E Kudlac, K Ziska, V Fekete, M Hriesik, R Oleksak, I Ditte Jurcova, A Lelkova) and of the youngest generation (J Luteran, L Brutovsky and A Totikova) successfully proving their capabilities. 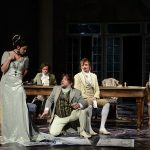 Today’s leading Slovak drama stages are the Drama Ensemble of the Slovak National Theatre, Aréna Theatre in Bratislava and Andrej Bagar Theatre in Nitra. Other theatres, like Theatre Astorka Korzo ’90 in Bratislava, the Drama Ensemble of the State Theatre Košice, the Slovak Chamber Theatre in Martin and Ján Palárik Theatre in Trnava, maintain the traditional artistic quality as well as the attention of the audience. Aréna Theatre in Bratislava has recently attracted attention by performing a cycle of productions that reflect the events and personalities of Slovak history, namely Tiso (2005), Dr Gustáv Husák – väzeň prezidentov, prezident väzňov (‘Dr Gustáv Husák – Prisoner of Presidents and the President of Prisoners’, 2006), and Komunizmus (‘Communism’, 2008). In the 2007-2008 season, the Divadlo A. Bagara/Theatre of A. Bagar in Nitra contributed to reflections on Slovak history and identity with its dramatic cycle Rodinné striebro (Family Silver), Všetko za národ (All for the Nation), Piargy, Matka (Mother) and Statky-zmätky (The Fortune Mess).